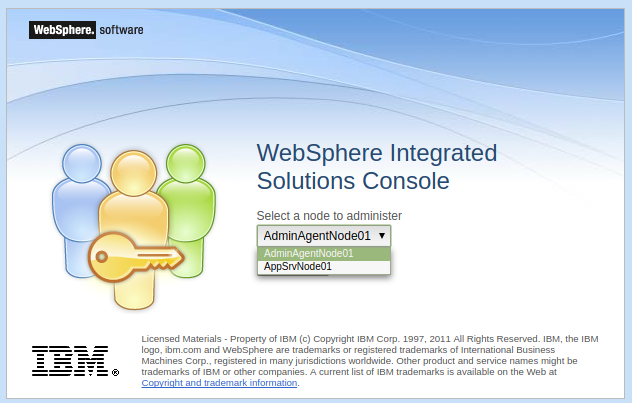 This article assumes you have read IBM WebSphere Admin Agent - Getting Started. and that you have created the admin agent profile and have started the admin agent. If the application server being registed with the admin agent is running, stop the application server. Then, use the following command to register the application server with the administrative agent. Now, you can start the application server. You will now have a drop-down selector at the URL of the Admin Agent web console, where you can select the nodes that have been registered to the Admin Agent. Selecting a registered node will sign you into that nodes web console. Likewise, you can sign into the Admin Agent console, select System administration > Administrative agent > Nodes, and the nodes that are registered to the Admin Agent will be displayed.